Hey folks! 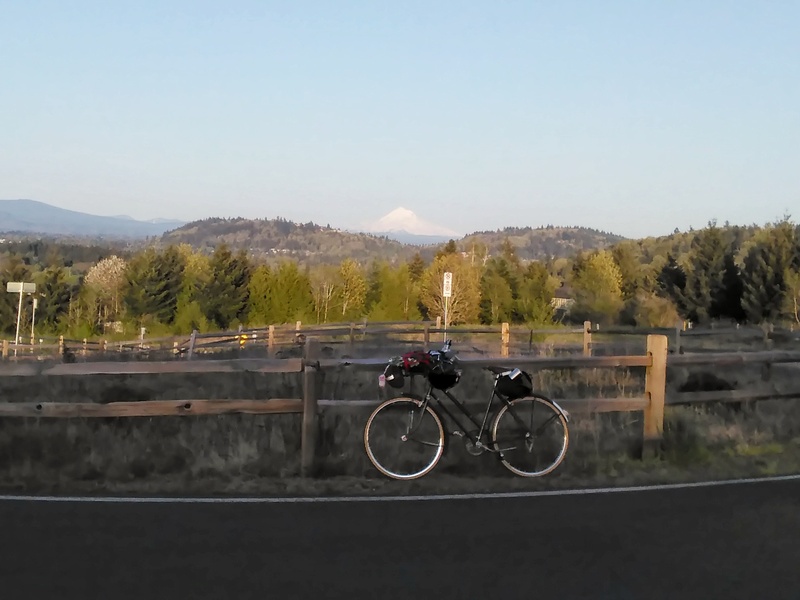 It’s just two weeks until the big Three Speed Bike Camping Trip to Stub Stewart State Park. We’ll be doing this the weekend of June 2 and 3. There are currently six available openings. So if you want to go, you still have a shot! 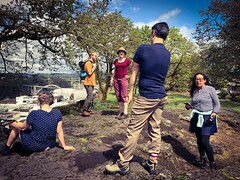 This is a self-supported camping tour on three speeds, destination Stub Stewart State Park on the Banks-Vernonia Trail! 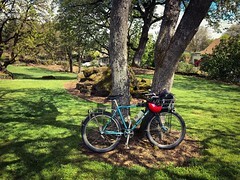 A 22 mi one way trip (departing from MAX in Hillsboro around 11 AM on Saturday June 2nd) and one night of camping. We’ll leave Saturday morning from downtown Hillsboro. The first 12 miles of the ride are mostly on rural country roads. In Banks we’ll have a supply stop at the Thriftway, where you can also get lunch. We may stop at the brewpub in town to/from. The last 10 miles are on the Banks-Vernonia Trail, a rail-trai! We’ll camp in the Brooke Creek Hike-In Camp in the park. We return home on Sunday. Hello folks! 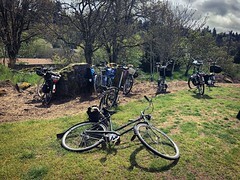 Eighteen folks “signed up” for the Three Speed Adventure April Challenge. Technically the deadline to report the rides was Friday May 18th. But so far, only seven of the eighteen have reported these rides. So I’m giving y’all a little more time! If you have participated in the Three Speed Adventure Challenge, you have until the end of day (your local time) on Friday May 25th to fill out the report. It doesn’t matter if you only did one challenge, all five, or something in between, please fill out the form. It’s great that you blogged or Instagrammed your adventures, but please remember you need to fill out the form by deadline to qualify in the results and be eligible for the prizes! If you have done the challenge and have not registered, please register via form below. If you are having difficulties, please email me. Okay, let’s see your reports! An early May report: Wrapping up Adventure April, planning for June fun, and getting ready for Pepin. Three Speed Adventure April: Thank you everyone who has participated. I’m seeing the reports roll in. If you have completed any of the challenges, there is still time to file reports! You need to first a) register then b) you’ll get a Report Google Form emailed to you. If for some reason you haven’t received it, please get in touch! You’ve got until Friday May 18 to get it filed. Full details here. And yes, I am still working on prize packs. I know, a broken record I am. (skip…skip…skip…) I was hoping to have time the last few weeks, but getting this Pepin trip plus Pedalpalooza biz sorted was first priority. I will be working on it when I return home mid-month. 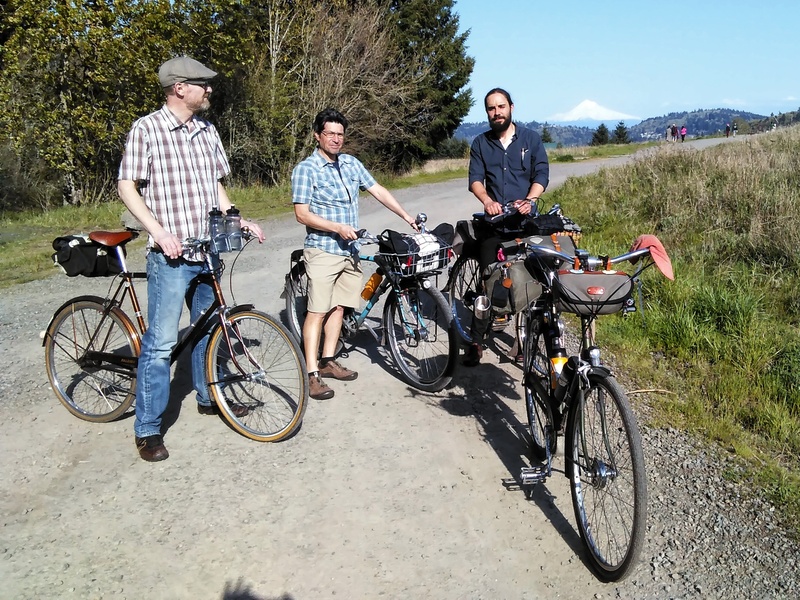 Speaking of Pedalpalooza, there is still PLENTY of room for our Three Speed Campout on June 2-3! We are heading to Stub Stewart State Park. Expect $10-15 in costs. You will need to register for this trip, you can do that here. Limit eight folks on the trip. 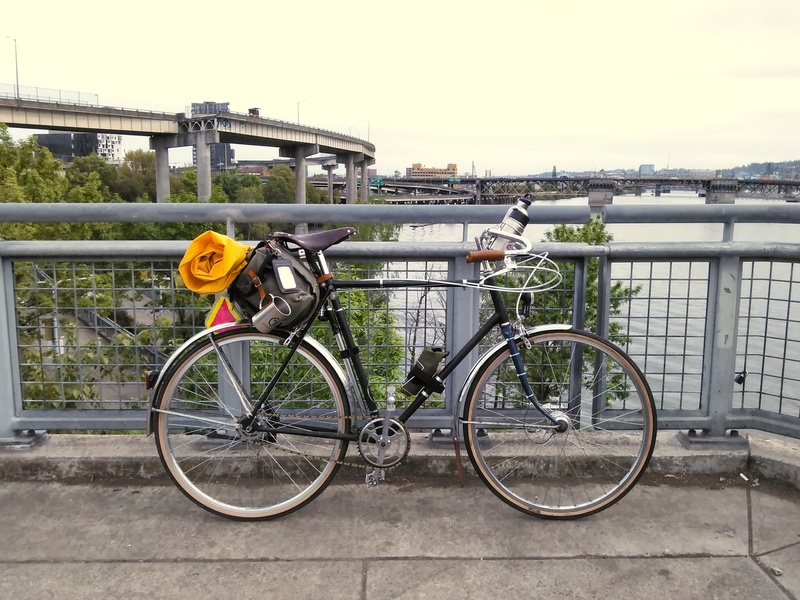 And a new Pedalpalooza first: I will be having a mid-week after-work Three Speed Ride! The Sunday rides have seen diminished participation over the years, so I’m trying something different. This ride will happen on Wednesday June 27th. We meet at 6 PM at the Paul Bunyan statue across from the Kenton/N Denver MAX station (Yellow Line). We depart at 6:30 PM on a 10 mile ramble. This is the one “open class” three speed ride for 2018, meaning ALL bikes are welcome, not just three speeds. Ride not a loop, but will end near food/drink/transit. And since this is an evening ride, it’s always wise to bring lights and layers! Alright, hopefully I’ll see a few of you out in Minnesota or Wisconsin this week! 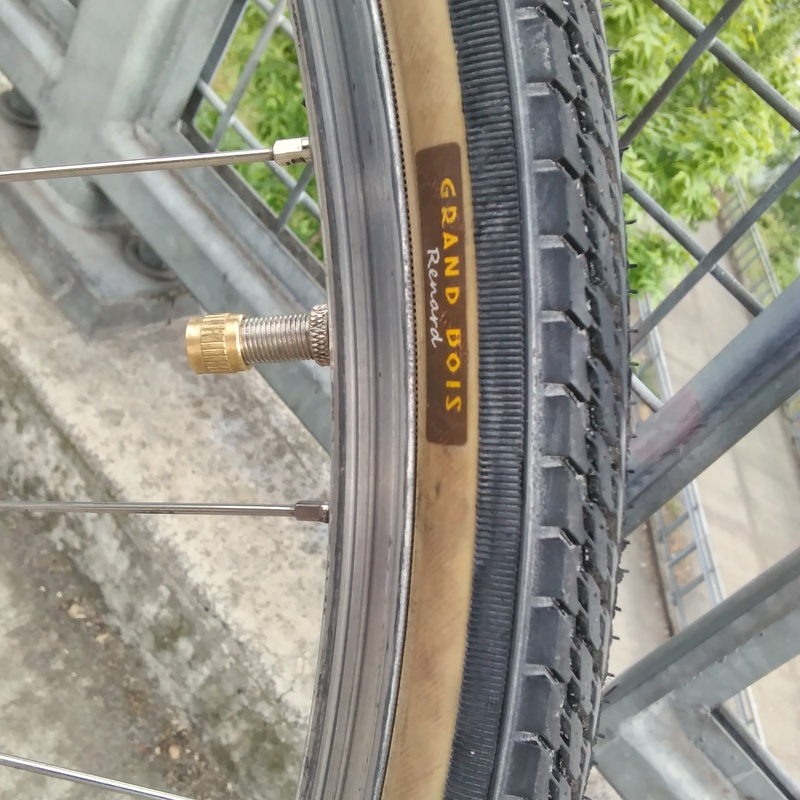 A bit of my Three Speed Adventure April action, finally documented! Thursday April 26: Emee had the great idea of getting a hotel room downtown for the night to complete Challenge 5 of Three Speed Adventure April, the Bike Overnight. * We had done Challenges 1-4 on Sunday’s Three Speed Ride (report on that very soon), and Emee had a conference in the very same hotel that weekend! Convenience! It was fun wheelin’ the Raleighs into the first floor room at the University Place Hotel. Adventure April complete!